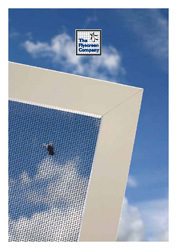 The Flyscreen Company supply a wide range of easy to build and install products. All our kits come with easy to follow instructions of how to build the product and how to install it. No experience needed. If you are still not sure then please call us and a member of our professional team will be able to help you. Domestic DIY Kit with single Midbar and kick plate.